AuthorCentrix celebrates its second year as one of the exhibitors at the Fair. The company will be gracing the event with Lillie Mae Hipps-Dickerson, a lover of gospel and music. 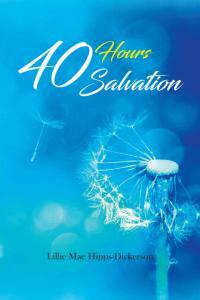 This year at the Fair, she brings to the readers a collection of heart-warming poems – 40 Hours Salvation. A chance for one-to-one Author Interview and Book Signing with Dickerson await everyone! Poetry is the rhythmical creation of all the emotions that exist in the world. To a writer, it becomes a salvation, and while it is never dead, some have the ability to make it resonate and heal the world. Lillie Mae Hipps-Dickerson pens 40 Hours Salvation, it is a collection of poems that inspires every reader to become the light that shines to the human race where dreams are waiting to unfold. With over forty poems that created with God’s influence, the source will not only enlighten everyone at the event, but also inspire them to do more of what God has given – may they be challenges, struggles and sufferings, there is nothing that one cannot be saved from as long as one holds on to the light.